I missed writing a blog post last week because I was busy editing my novel-in-progress. I thought my draft was finished, but a glance at Chapter 1 set me tinkering with it. I looked at Chapter 2 and found that needed working on, too. And then the truth dawned on me. 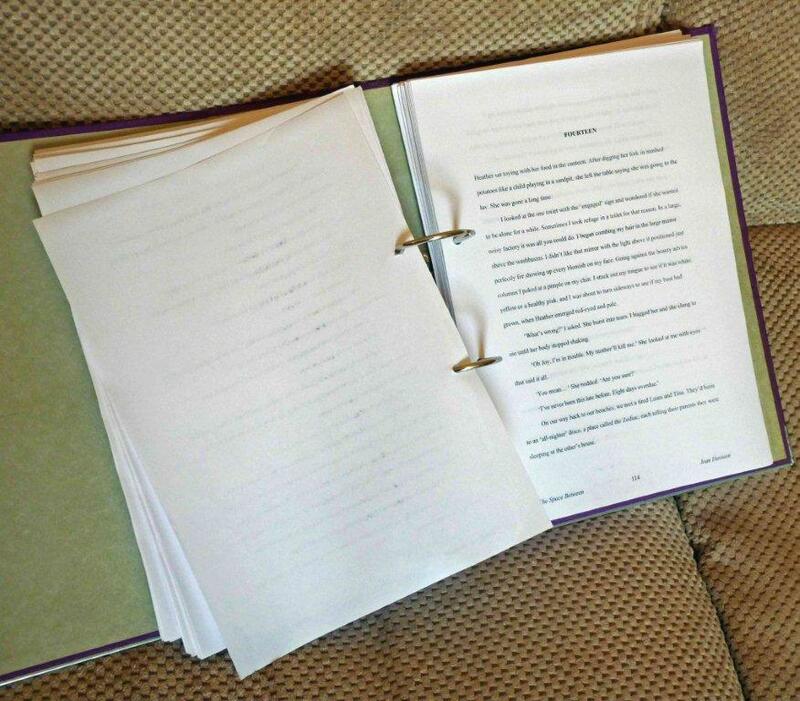 The whole manuscript, which I had put aside for months, was nowhere near finished. For the past two weeks I’ve had my head down, expanding, cutting and re-structuring, sometimes working till after 3am. Every chapter needed some editing and several needed completely dismantling and re-writing. At one point I couldn’t see where it was going (and considered the bin). Amazed and horrified, I kept asking myself, how could I ever have thought it was finished? I’m pleased with myself now. I feel I’ve improved it a lot. I’m telling myself I’ve written a damn good novel. BUT . . . I’m wondering if I leave it aside for a while and then look at it later, will I have to ask myself again: How could I ever have thought it was finished? So how do we know when it’s time to stop the revision? How do we know when our baby really is grown-up and ready to face the world? This entry was posted in Writing and tagged editing, manuscript, novel, revision by Jean Davison. Bookmark the permalink. Good question. The only thing I can suggest is to let someone else read it and comment. Yes, I think it needs a pair of fresh eyes. I’m considering getting a paid appraisal. Hi Ruth, Yes, I’m sure you and Miriam are right. That’s what I’m going to do or I’ll probably end up just going round in circles with it. Objectivity needed. Hi Jean, World Book Day today, Read Aloud day yesterday! good job we got some writers!! my half penny worth regarding checking out whether you want add more….have someone read aloud to you what you written thus far, you might get a sense if you want include more? I’ve got this nifty software ‘Texthelp’ which has this facility, not got hang of it yet! and how much nicer to have a real person read to us…. Hi Sue, and thanks for your suggestion. I’ve found reading aloud helps me decide whether or not dialogue is working. I hadn’t thought of asking someone else to read parts aloud to me. It might be interesting to see if they put the emphasis on the words as I’d intended in my writing.